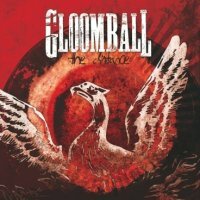 With a band name that sounds like the world's most miserable disco lighting equipment, Germany's heavy rock and metal hybrids Gloomball are sure to light up a few mosh pits with their storming debut album 'The Distance'. 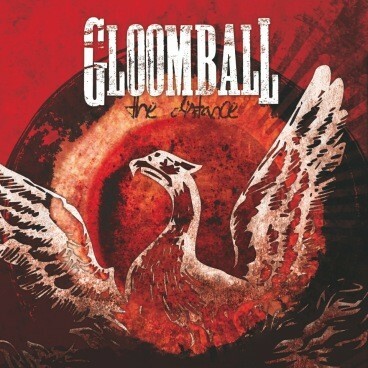 Taking in artists as varied as Slipknot, Breed77 and often Zakk Wylde's Black Label Society, Gloomball utilise those predilections for big choruses, hooks and huge-sounding, chunky guitars to glorious effect. Powerful vocals sounding like Machine Head's Robb Flynn on a sunnier day, wrapped around some excellent vocal melodies allow the superb guitars to do their destructive best. The chugging stomp of impressive 'Long Time Gone' and 'We Do Belong' drive the tracks along on simple, heavy riffs. Thanks to some excellent production it sounds as if a whole army of six string axemen is on the attack, while the venomous 'More And More' builds up a head of angry steam. The breathless one-two of 'Overcome' and 'Burning Gasoline' opens the album in a smoking flurry of crushing riffs and imposing vocals. First single 'The Distance' sounds a little too calculated and slick, with its geared-for-radio chorus and loud/quiet dynamics, compared to the other less compromising cuts. There are some plod-along moments too like the forgettable 'Bitter Place' and the bizarre 1980s gothic AOR-style version of 'No Easy Way Out' (the Robert Tepper classic from the Rocky IV soundtrack) sticks out. Still, this is a convincing debut album from a certifiably talented band. They have immediately found their own sound whilst not being afraid to show their influences. Give the album a listen and surely you will agree – these guys can surely go the distance.